Truck is a frame-off restoration using the stock frame and both redone original axles that has been undercoated. All new brake system- brake shoes- brake lines, master cylinder and working park brake. · Tan Leather bench seat-carpet with console. Topped off with a vintage heat and air system. 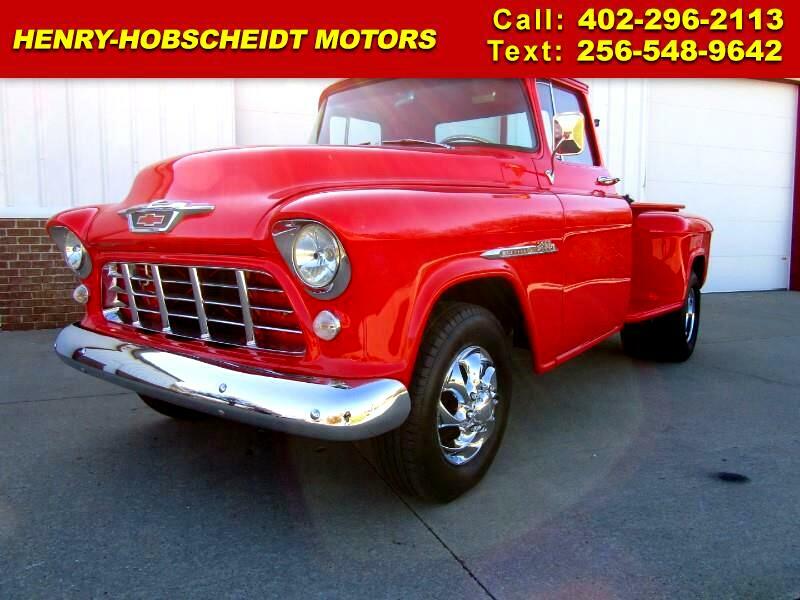 Message: Thought you might be interested in this 1955 Chevrolet 1 Ton Chassis-Cabs.